Santa Fe’s campus is known for its beautiful live oak trees. Their extremely big crowns give students a source of shade on sunny and hot Florida days, it’s the perfect place to sit down and relax between classes. The live oaks give the college campus character and they provide harmony to a place that a lot of people can associate with stress. The live oaks are unique and don’t look like any other trees at all. But these seemingly ordinary trees are not only a sight for sore eyes; they actually play a big role in our everyday life too. 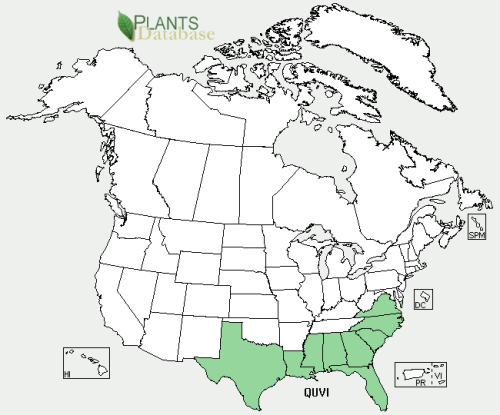 Live oak (Quercus virginiana) is often called the southern live oak because it habitats in the southeastern coastal region of the United States. The live oak can be found all the way from southeastern Virginia to south Florida. There is no surprise that we can find the live oak all over Florida (including the Florida keys) since the trees love the humid climate (Harms, W.R.). They can live long in sunny weather and prefer wet, well-drained, sandy soil. The live oaks can’t survive in cold temperatures but they can easily protect themselves during hurricane seasons, thanks to their strong wood (USA National Phenology Network). The trees have a height from 60 to 80 feet and a round shape crown with a spread from 60 to 120 feet (Gilman, E & Watson, D). The live oaks are evergreen plants which means that they have leaves during all four seasons. The tree is also native to the United States and belongs to the Fagaceae, aka the Beech Family (USA National Phenology Network). The live oak can become very old. The oldest live oak in North America is believed to be the “Seven Sisters Oak” in Louisiana and it is over 1000 years old (The Winter Park Live Oak Fund). 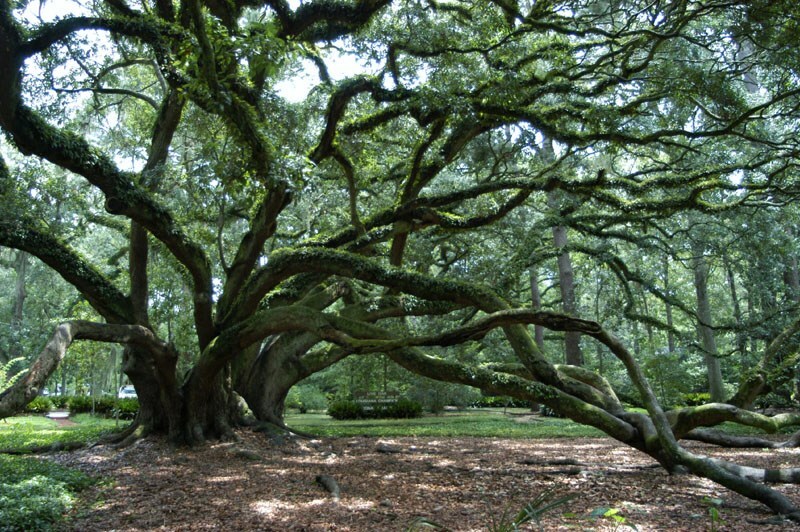 The live oak wood is known for being extremely strong and it also has dense wood which means that it’s heavy and hard. The wood is not used much today but was perfect for framework timbers when wooden ships were popular. The US Navy used live oak wood for all their ships and they even maintained their own live oak forests (The Winter Park Live Oak Fund). In today’s culture the live oak and other big trees are being used a lot as “family trees”. A family tree is a picture of a big tree with every generation of a family, starting with the first generation at the roots and the last generation at the top of the crown. It is a good way for big families to understand their family history and to see where they’re coming from. Pollen a microscope picture of pollen and a description of how it affects allergies would be useful – as well as folk remedies or medicines for allergies. Even though we get a lot of benefits from the live oak, a lot of people hate this tree during a couple of months a year because of its pollen. The oak tree is one of the worst plants for pollen allergies. Spring is the peak time for oak trees to produce pollen and the reason why they harm our well-being and health more than a lot of other plants is because the oak trees produces pollen for the longest season and they produce a lot of it (Health.com). The live oaks are always around us here at Santa Fe and they have played a big role in our human culture too. Even if we’re not using the material of the oak as much today as we did before, the live oak will always be important to us because it will always be here. Who knows what we will use the wood or the acorns for in the future? Only time will tell. But in the mean time: make sure you have your pollen medicine ready so you can enjoy these wonderful trees on campus.